BERLIN (IDN) - It is five minutes to midnight on the Doomsday Clock. Inadequate progress on nuclear weapons reduction and persistent inaction on climate change have prompted the eminent Bulletin of the Atomic Scientists (BAS) to move the hands of the famed clock one minute closer to midnight. The last time the Doomsday Clock minute hand moved was in January 2010, when the Clock's minute hand was pushed back one minute from five to six minutes before midnight. Commenting on the Doomsday Clock announcement on January 10 in Washington DC, Lawrence Krauss, co-chair, BAS Board of Sponsors, said: "Unfortunately, Einstein's statement in 1946 that 'everything has changed, save the way we think,' remains true. The provisional developments of two years ago have not been sustained, and it makes sense to move the clock closer to midnight, back to the value it had in 2007." Krauss, who is also director of New Origins Initiative of the Arizona State University, explained: "Faced with clear and present dangers of nuclear proliferation and climate change, and the need to find sustainable and safe sources of energy, world leaders are failing to change business as usual. Inaction on key issues including climate change, and rising international tensions motivate the movement of the clock." Krauss added: "As we see it, the major challenge at the heart of humanity's survival in the 21st century is how to meet energy needs for economic growth in developing and industrial countries without further damaging the climate, exposing people to loss of health and community, and without risking further spread of nuclear weapons, and in fact setting the stage for global reductions." Allison Macfarlane, chair of the BAS Science and Security Board, and member of the Blue Ribbon Commission on America's Nuclear Future, said: "The global community may be near a point of no return in efforts to prevent catastrophe from changes in Earth's atmosphere. The International Energy Agency projects that, unless societies begin building alternatives to carbon-emitting energy technologies over the next five years, the world is doomed to a warmer climate, harsher weather, droughts, famine, water scarcity, rising sea levels, loss of island nations, and increasing ocean acidification." Macfarlane, who is also associate professor at the George Mason University pointed out that since fossil-fuel burning power plants and infrastructure built in 2012-2020 will produce energy – and emissions – for 40 to 50 years, the actions taken in the next few years will set us on a path that will be impossible to redirect. Even if policy leaders decide in the future to reduce reliance on carbon-emitting technologies, it will be too late. 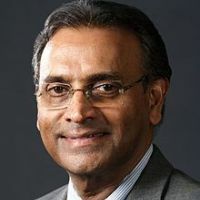 Jayantha Dhanapala, a member of the BAS Board of Sponsors, former United Nations under-secretary-general for Disarmament Affairs (1998-2003), and ambassador of Sri Lanka to the United States (1995-1997), said: "Despite the promise of a new spirit of international cooperation, and reductions in tensions between the United States and Russia, the Science and Security Board believes that the path toward a world free of nuclear weapons is not at all clear, and leadership is failing." "The ratification in December 2010 of the New START treaty between Russia and the United States reversed the previous drift in U.S.-Russia nuclear relations. However, failure to act on the Comprehensive Test Ban Treaty by leaders in the United States, China, Iran, India, Pakistan, Egypt, Israel, and North Korea and on a treaty to cut off production of nuclear weapons material continues to leave the world at risk from continued development of nuclear weapons. The world still has over 19,000 nuclear weapons, enough power to destroy the world's inhabitants several times over," Dhanapala said. Robert Socolow, member of the Science and Security Board said: "Obstacles to a world free of nuclear weapons remain. Among these are disagreements between the United States and Russia about the utility and purposes of missile defence, as well as insufficient transparency, planning, and cooperation among the nine nuclear weapons states to support a continuing drawdown." "The resulting distrust leads nearly all nuclear weapons states to hedge their bets by modernizing their nuclear arsenals. While governments claim they are only ensuring the safety of their warheads through replacement of bomb components and launch systems, as the deliberate process of arms reduction proceeds, such developments appear to other states to be signs of substantial military build-ups," Socolow, professor of Mechanical and Aerospace Engineering, and co-principal investigator, of the Carbon Mitigation Initiative at the Princeton University added. Kennette Benedict, executive director of the Bulletin of the Atomic Scientists, said: "The Science and Security Board is heartened by the Arab Spring, the Occupy movements, political protests in Russia, and by the actions of ordinary citizens in Japan as they call for fair treatment and attention to their needs. Whether meeting the challenges of nuclear power, or mitigating the suffering from human-caused global warming, or preventing catastrophic nuclear conflict in a volatile world, the power of people is essential. For this reason, we ask other scientists and experts to join us in engaging ordinary citizens. Together, we can present the most significant questions to policymakers and industry leaders. Most importantly, we can demand answers and action." - Vastly increasing public and private investments in alternatives to carbon emitting energy sources, such as solar and wind, and in technologies for energy storage, and sharing the results worldwide. The January 10, 2012 Doomsday Clock followed an international symposium held the previous day at the Jones Day law firm in Washington, D.C. The Science and Security Board of the Bulletin of the Atomic Scientists, with participation from the Sponsors, reviewed the implications of recent events and trends for the future of humanity with input from other experts on nuclear weapons, nuclear energy, climate change, and biosecurity. - What is the future of nuclear power after Fukushima? - How are nuclear weapons to be managed in a world of increasing economic, political, and environmental volatility? - What is required for robust implementation of the Biological Weapons Convention? Founded in 1945 by University of Chicago scientists who had helped develop the first atomic weapons in the Manhattan Project, the Bulletin of the Atomic Scientists subsequently created the Doomsday Clock in 1947 using the imagery of apocalypse (midnight) and the contemporary idiom of nuclear explosion (countdown to zero), to convey threats to humanity and the planet.